Danish capital last year saw more bicycles enter city than cars, with almost half of residents cycling to work or school. Copenhagen now has so many cyclists that the city is installing electronic information panels along its bike lanes to help prevent two-wheeled traffic jams. 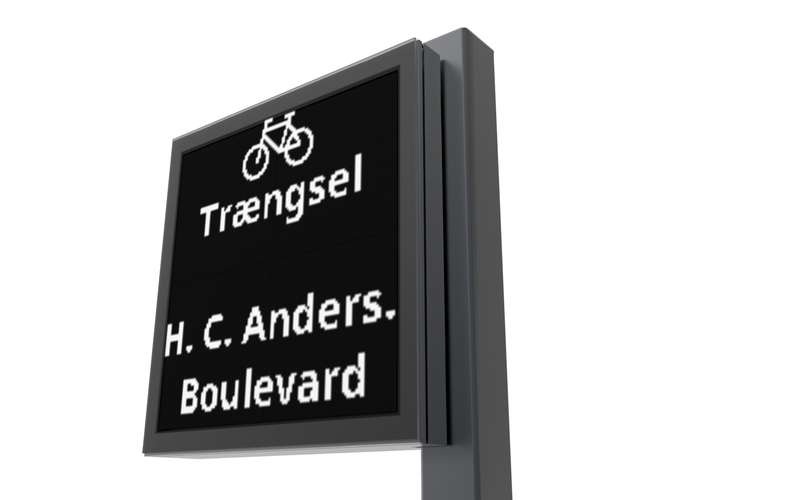 Jesper K Thomsen together with the city of Copehangen has designed the world first electronic information panels for bicycles.